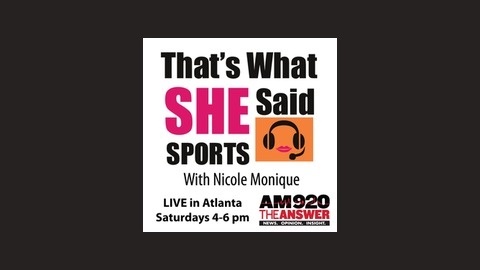 That's What SHE Said Sports is not your average sports talk show, and that's what people love! Host Nicole Monique and her "co-dude" Bee Gee bring you a sports show that's cutting edge with pop culture, interviews and always a good time. 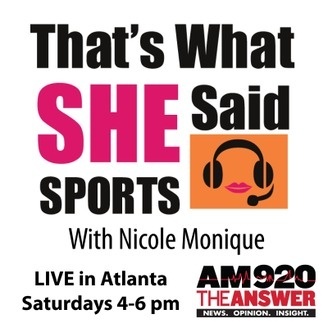 Listen LIVE in Atlanta Saturdays from 4-6 pm on AM 920 the Answer.